If Millionaires and Billionaires are doing this, Why Aren't You? Study after study proves that people who write down their goals have increased income, better relationships, more freedom and a higher quality of life. Yet the majority of the population doesn't do it! Reach higher levels of freedom in your life How many of your New Year's resolutions have you given up on this year already? How would you feel if you were finally able to keep those resolutions? How will your life change? Whether it's financial, personal, professional, physical, mental, spiritual, or other, these are just some of the areas in which the Freedom Planner is helping people like you around the world obtain more freedom! *Undated Version* Lotus Flower design by talented artist Whitney Freya. Eco-Friendly: The Freedom Planner is the only planner of its kind printed on 100% recycled paper and printed using Vegetable based ink. Made in the USA! Click on the "Add to Cart" button now and obtain your Freedom! We apologize in advance but supplies are limited and due to demand, we often sell out quickly. Get Yours Today! DISCOVER FREEDOM TODAY AND BUY RISK FREE with our 100% Customer Satisfaction Guarantee. Reach higher levels of productivity and organization or your money back! If you are not happy with your freedom productivity planner we will refund your purchase no questions asked. WHILE OTHER CALENDARS, ORGANIZERS & PLANNERS only provide you with a way to track your time or make you watch a bunch of videos to see results, or at *best* let you write down what you're grateful for, our UNDATED 2018 daily weekly & hourly calendar planner allows you to transform your life. This means you end procrastination, get hyper organized & manifest with ease because you're focused on all 3 areas to create a better life - time management, goal setting and law of attraction. PERMANENTLY END 'ANALYSIS PARALYSIS' that keeps you stuck in the same frustrating cycle of try, stop, fail because owning this journal is like having a life coach & time management coach combined. That means manifesting change & becoming 10X productive is easy with gratitude journal section, daily habit creating reminders, 2-page vision board (one of Oprah's favorite success tools), 2-page goal journal & motivating, inspiring quotes from wildly successful people. WE'RE ON MORE THAN A MISSION to get you organized. We're on a mission to create more successful life transformation stories than any other planner, and we've nearly reached our goal. 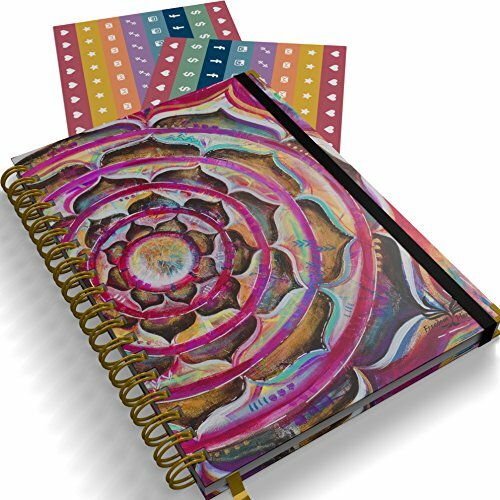 1000's have already shared their stories about how this earth friendly undated daily planner got them hyper-organized, helped them manifest things like 10x's more money, a sweeter, better lover, and more. We look forward to helping you write your incredible story next! If you have any questions about this product by Freedom Planner, contact us by completing and submitting the form below. If you are looking for a specif part number, please include it with your message.